Yes, you heard it right. 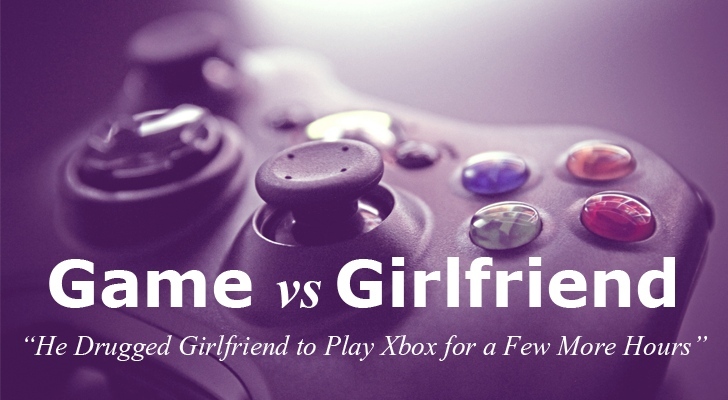 A gamer drugged his girlfriend to avoid interruption while playing on his Microsoft's Xbox Live. The 23-year-old German man, who has not been named, was fined EUR€500 (approx USD$555) by a judge in a Castrop-Rauxel district court, German website The Local reports. The man admitted in front of judge that he put between four and five drops of a sedative in his girlfriend's tea to make her fall asleep, so he could keep playing the video game on his console. His girlfriend fell asleep for more than 12 hours and wake up midday on the next day, but even after waking up she felt constantly drowsy. "Then I got up and drove to work although I was nodding off again and again," the victim told. The offender's girlfriend, 24, broke up with her now-ex-boyfriend after he did this to her. "Your girlfriend slept long and deeply, which didn't harm her, but this is certainly a premeditated bodily harm." The man admitted that what he did is "stupid" but also said he was "on a straight path" now after staying off drugs for ten months, and was planning to start an apprenticeship.